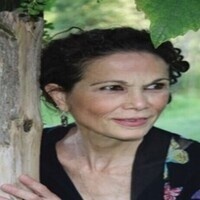 Please come out and join the Creative Writing Program as we honor Julia Alvarez with the 2019 Lawrence A. Sanders award in fiction. Alvarez has written novels (How the Garcia Girls Lost Their Accents, In the Time of the Butterflies, In the Name of Salome, Saving the World); collections of poems (Homecoming, The Other Side/ El Otro Lado, The Woman I Kept to Myself); nonfiction (Something to Declare, Once Upon a Quinceanera, and A Wedding in Haiti) and numerous books for young readers (including the Tia Lola Stories series, Before We Were Free, finding miracles, Return to Sender and Where Do They Go?). Alvarez's awards include the Pura Belpre and Americas Awards for her books for young readers, the Hispanic Heritage Award, and the F. Scott Fitzgerald Award. In 2013, she received the National Medal of Arts from President Obama. The Lawrence Sanders Award was established in 2010, funded through the generosity of the Lawrence A. Sanders Foundation. It is given annually by the FIU Creative Writing Program to honor a writer of fiction whose work embodies not only wide appeal but also literary excellence. Past recipients include Scott Turow, Pan Conroy, Isabel Allende, Richard Ford, Amy Tan, Michael Ondaatje, Tim O'Brien, Jane Smiley and Dennis Lehane.